We are just getting are online store ready. 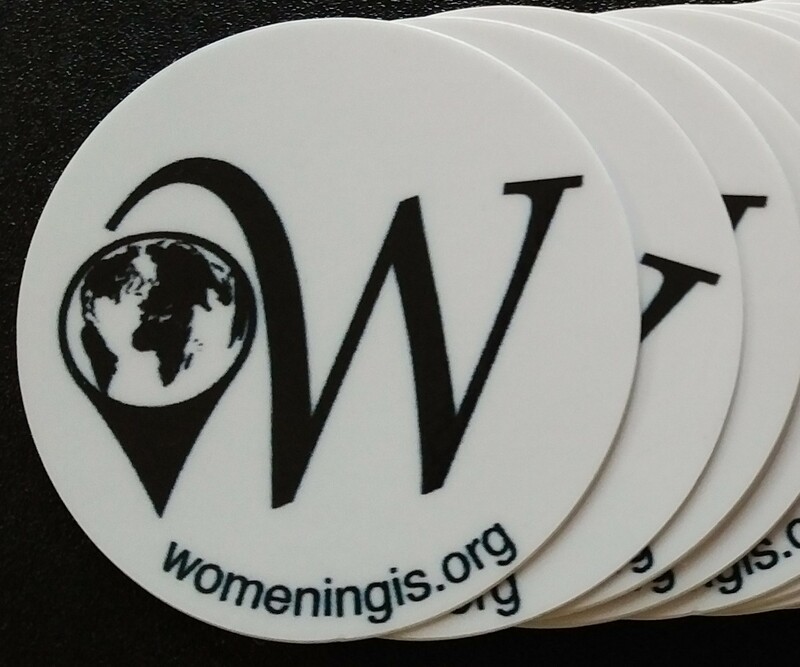 Currently, we only have available some stickers. Check back in the future for more! While we get set up here, you can support by heading over to our store on Cafepress or you can order directly from Cafepress by searching our profile. We have made several of our inspired logos available on things like t-shirts, mugs, and bags. 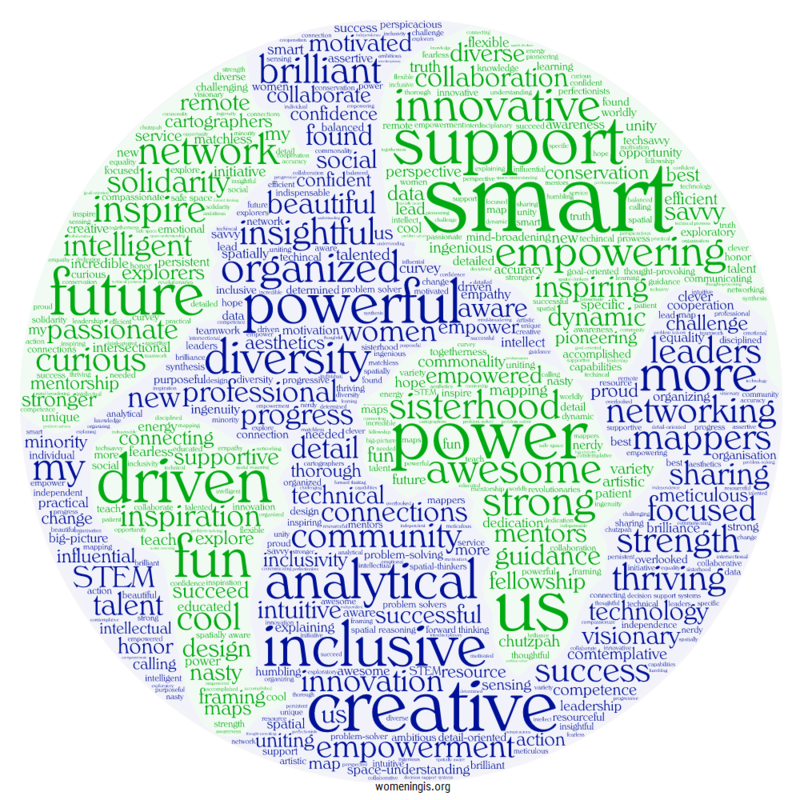 We also have a fun word cloud (image below) compiled by our members that you can put on several products. Find the perfect gift for yourself or for the spatial woman in your life. Please note: We are currently fiscally sponsored by NorCal URISA. All purchases are tax-deductible. Thank you for your support!